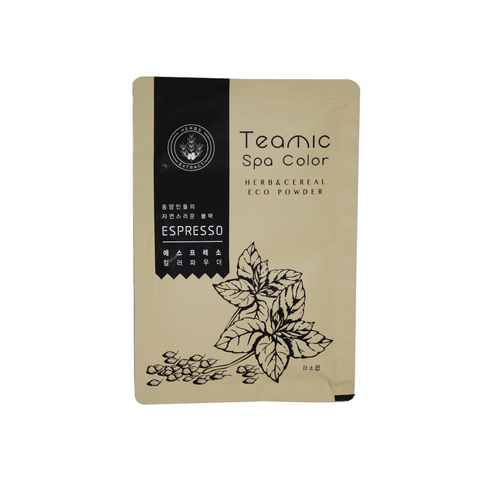 TEAMIC SPA COLOR ESPRESSO 20g (Natural herb recipe) – HAIRDEPOT - Hair & Scalp Care Products, Prevent Hair Loss, Shampoo, Conditioner, Treatment, Styling, Appliances and more! 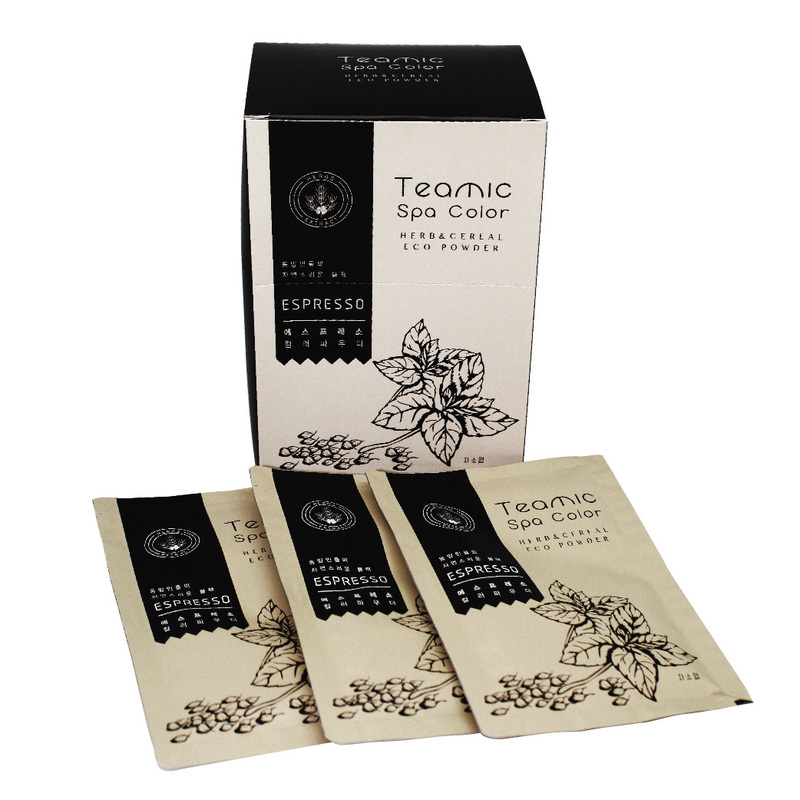 It is a natural –colored full-color brand that combines the power of herbs and grain from nature to produce healthy and beautiful hair. 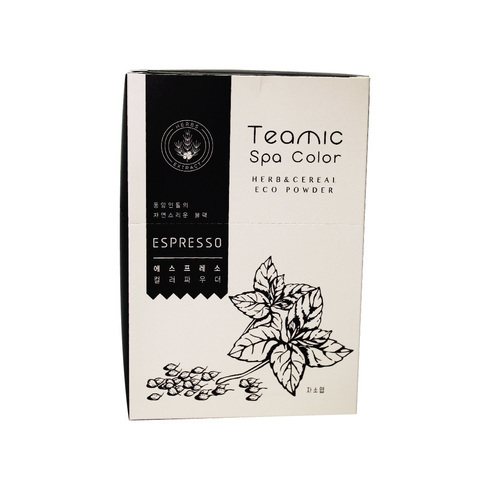 You can dye your hair not only natural hair color, but also dying gray hair with bland stimulation colorant , by using natural extract based colorant not chemical. 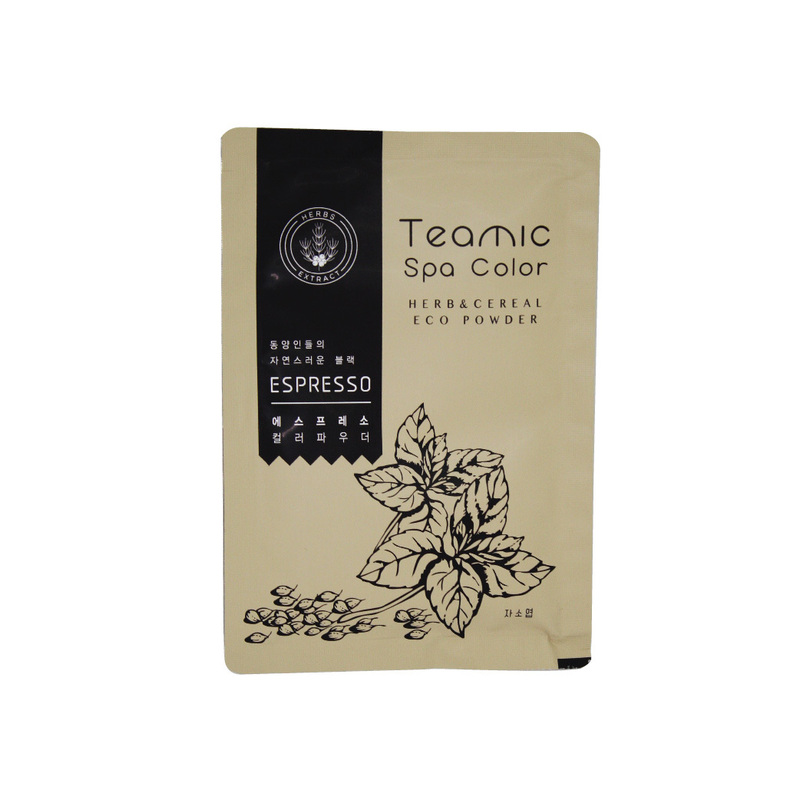 The colorant also protect scalp and hair ,and optimize reducing hair damage. Mix the powder (1 sachet, 20g) with 80ml water both and dye your hair with healthy. Leave it around 20 to 30 minutes and rinse your hair.